Discussion in 'Applications' started by Royal, Feb 10, 2019. This is the official staff application format to use to apply, failure to use the format will result in an automatical denial. Staff may reply to your application to share their thoughts and opinions on how your application may be improved. Asking or requesting a staff member to check or view your application will result in your application being denied. Lack of activity on the discord or server will affect the overall decision on the acceptance or denial of your application. If your application is denied you may reapply after 2 weeks/14 days. You may not argue or disrespect staff if your application was denied if you have an issue or concern with your application you are more then welcomed to bring it up with management/administration. 1. Must have a clear record history of bans/mutes/issues or within recent month. 3. Must not be staffing or involved with any other servers. 4. Able to put a minimum of 7-8 hours per week. 5. Must have a working microphone and comfortable talking. 6. Must be mature and have good communication/leadership/social skills. 7. Have prior knowledge and experience with factions, cosmic especially would be good. ✺ What timezone are you in? ✺ How old are you? ✺ How long have you been playing Peace PvP? 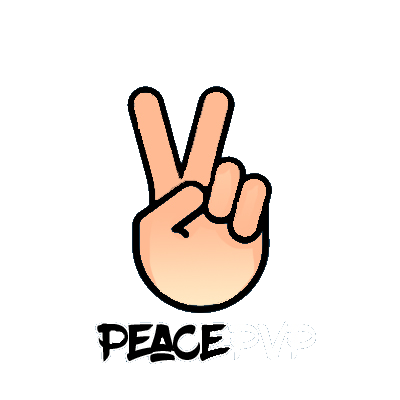 ✺ What made you decide to apply here at Peace PvP? ✺ How would you be able to help the server besides typical catching hackers & moderating chats? ✺ What do you think mays you a better candidate versus others? ✺ How many hours will you be able to play on a weekly basis? ✺ Do you have any experience in regards to staffing or moderation? If there were individuals fighting over who raided their base and started threatening to DDOS/DOX one another, how would you respond and deescalate the situation? If a staff member was being accused of abusing or being biased with punishment and players were coming to you for help or complaining how would you handle or deal with the situation? If someone claimed to have lost items in their inventory and could be lying how would you deal with the individual and what would you do if the person was lying or seemed suspicious?